This is a clean, crisp, delicately balanced beer with subdued sweetness and a pleasantly refreshing tang in the finish. Because of the low hop bitterness and dry, light body, this beer is easily mistaken for a lager or light beer. These qualities make it a great summertime beverage. This beer is brewed using our local pure water without any additives. This beer was our very first recipe. It was our introduction into craft beer. 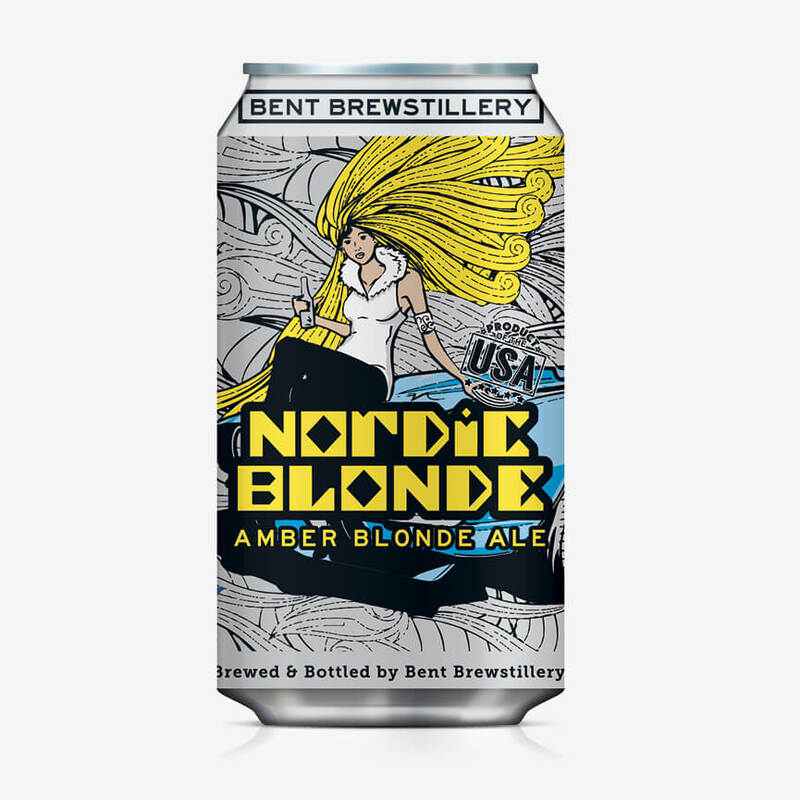 We brewed what we wanted to drink, and this quickly became a favorite among our friends and family who weren’t ready for the more brutal styles on the Bent Brewstillery beer menu. We make this beer our own by using richer Munich malts to give it a more complex and deeper flavor. This beer is best when fresh.